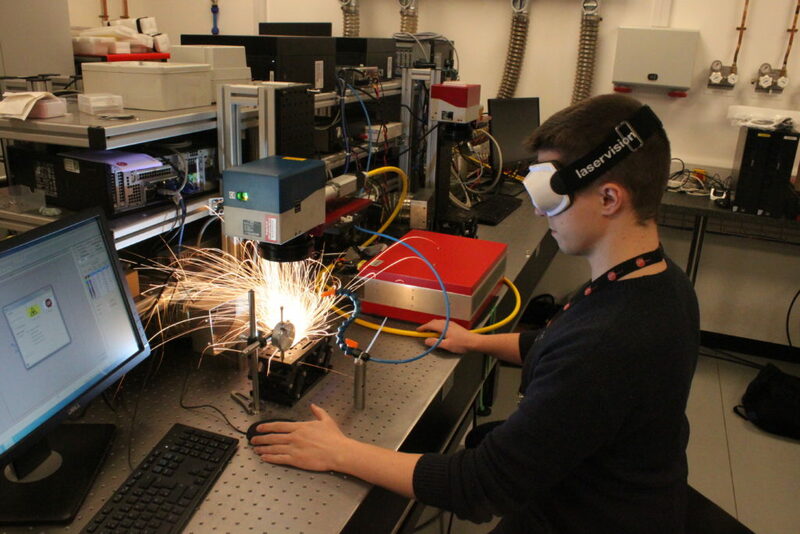 Fiber lasers are incredibly versatile and capable of many different fiber laser applications, ranging from precision micro-machining operations, to heavy duty industrial processes i.e welding. Throughout October, our focus will turn to Laser Drilling, a precision application which is highly beneficial to manufacturing companies. In this article, we will discuss what laser drilling is, how and where it is used, and what advantages the application has to industry. You can also find out more about Laser Drilling by viewing our content in our Applications area. 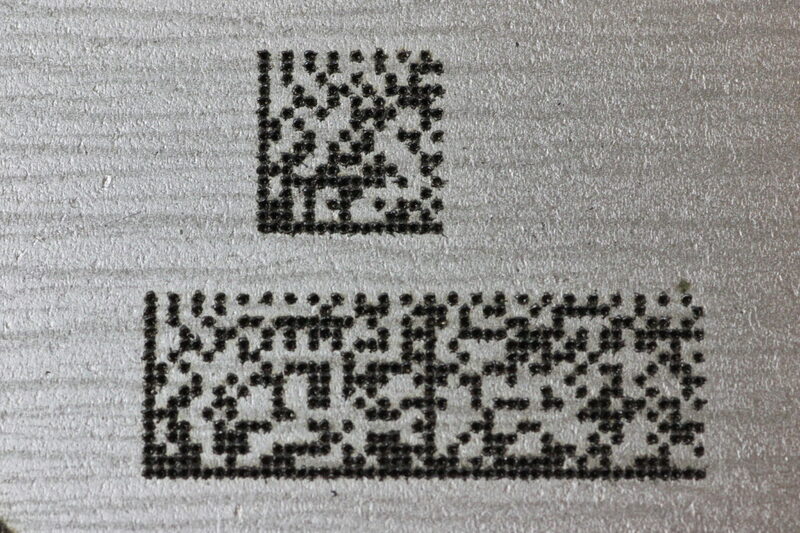 Our fiber lasers can drill micro-holes in metals, such as for QR-codes! Laser drilling is a precision application for creating holes in a variety of materials, such as metals, plastics, and ceramics. Fiber Lasers are particularly effective for drilling holes in a variety of metals, as they allow the user to adjust the beam creating holes from just a few microns wide. That said they can also be used to process other materials such as plastics and ceramics. 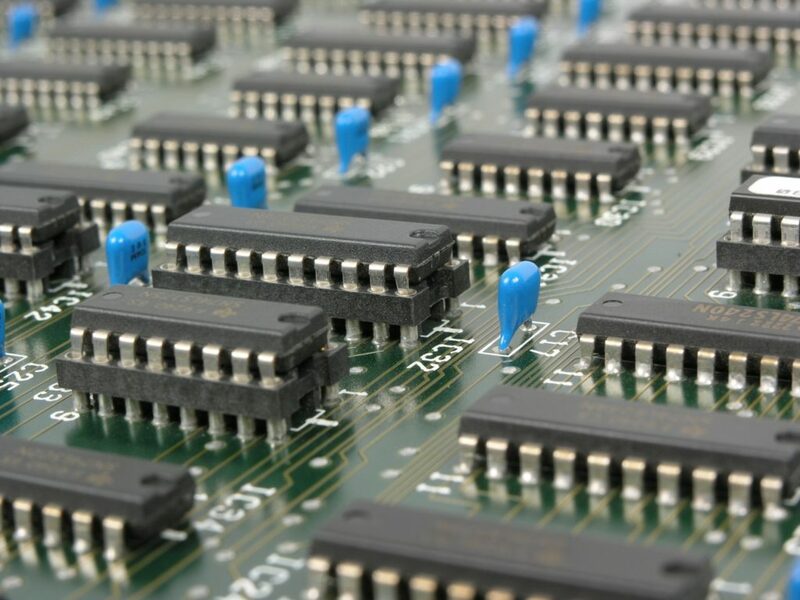 For instance, lasers are often used to drill micro-holes in semi-conductors made from silicon, which are found within many household components such as televisions and washing machines. Fiber Lasers are used by the medical, automotive, aerospace, and electronics sectors for drilling, due to their versatility, speed and cost effectiveness. Drilling holes between the different layers of the semi-conductor helps with the flow of electrical current. Laser drilling is achieved by modulating pulses in order to melt the material layer by layer. Different materials require different pulse parameters. There are various types of laser drilling, which operate in different manners. These include Single-shot laser drilling, Percussion laser drilling, Trepan laser drilling, and Helical laser drilling. To understand the differences between them, visit our Apps Insight entitled, “Laser Drilling | The Various Types, Techniques & Processes of Laser Drilling“. Our flexible redENERGY Pulsed fiber lasers feature PulseTune technology – allowing you to fine-tune ‘pulse waveforms’ for greater depth of quality and control. 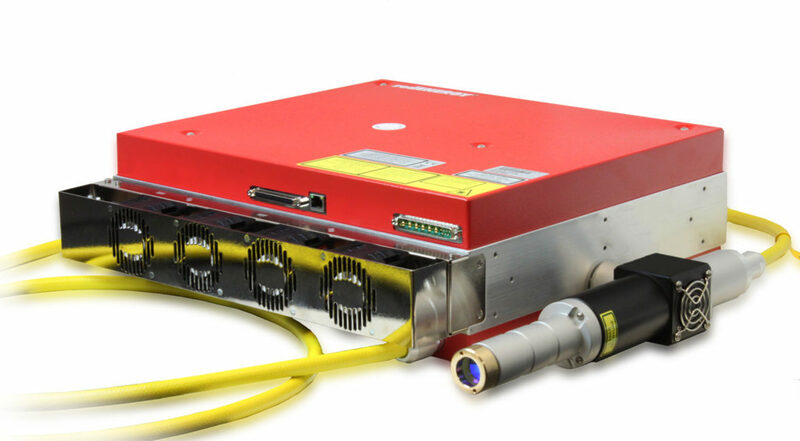 Our redPOWER CW fiber lasers are also suitable for laser drilling, as they offer integral pulse shaping for adjusting peak power and pulse energy. Ultimately, you can achieve this application using either of our pulsed or CW lasers. Find out which solution works best for you by visiting our “Drilling with a Fiber Laser” Applications Insight. redENERGY G4 200W Pulsed fiber laser. Laser drilling offers greater accuracy and control, meaning that it can be used to drill holes in a variety of shapes and sizes. Single-shot laser drilling will enable you to drill multiple holes quickly, which you can repeat again and again until you reach the required quantity. Fiber lasers deliver higher power and pulse energy than alternative laser technology meaning they are also quicker. Fiber Laser Drilling is crucially a non contact process, providing a maintenance-free drilling solution for your industrial manufacturing challenges, as opposed to existing technologies; this often also results in significant cost savings due to reduced down time and parts replacment costs. We offer versatile pulsed fiber lasers in various power configurations from 20W – 200W, suitable for micro-drilling and high volume drilling. One single laser beam can be manipulated to perform multiple tasks. See Laser Drilling in action! To demonstrate what laser drilling can do, we have compiled a list of 5 Great YouTube Videos, which we thought may interest you. We have also produced some stunning samples from our laboratories using our redENERGY G4 Pulsed fiber lasers! See this in action opposite. Visit our YouTube channel to see more of our latest videos on drilling applications. A History of Laser Drilling. Missed last months applications content from SPI Lasers? Don’t worry, you can find all our previous content in the following links so you can catch up on all the content provided so far…anytime!